Career Designs for Life was established in 2008 by Paula Wischoff Yerama, a passionate professional in the areas of career development and vocational rehabilitation. Throughout her career, which spans 10 years, Paula has assisted over 1,000 individuals to achieve their career and employment goals. She has had the privilege of providing career development and vocational services to career planners and transitioners, job seekers, and individuals returning to work post accident, injury, or illness and has experience supporting individuals in rural and urban labour markets, from all occupational and educational backgrounds, and of all ages and abilities. 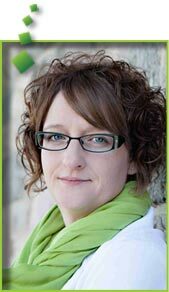 Paula was first introduced to career development in 2001 after completing her Rehabilitation Services Diploma at Red Deer College. She was offered a position at the Centre for Employment in Olds, AB working in the area of Disability Related Employment Services. During her 4 years at the Centre for Employment Paula worked as an Employment Specialist with individuals facing barriers to employment, career planners, career transitioners, and job seekers. She was also involved in writing proposals for 2 projects and coordinating a 6 month Skills Link program in Sundre, AB before accepting a position at Millard Health in Edmonton, AB in 2005. As a Vocational Specialist at Millard Health Paula completed vocational assessments and assisted injured workers, specifically those with Acquired Brain Injury and Post Traumatic Stress Disorder, with career planning, resume / cover letter / job search skills development, job search assistance and placement, and job / volunteer coaching. It is her commitment to lifelong learning and personal and professional development that has resulted in Paula achieving the Certified Career Development Professional (CCDP) designation in 2006. In addition to this designation Paula is certified to administer and interpret various career interest and personality inventories including Myers-Briggs Type Indicator ®, Personality Dimensions®, and Strong Interest Inventory®. Paula has often been commended for assisting individuals to see options that they could not; providing resources, strategies, and tools that build confidence; and motivating and inspiring action.